9. 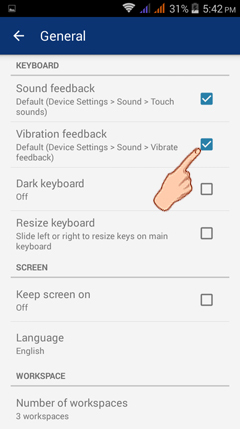 How to Turn Off (or on) Vibration? 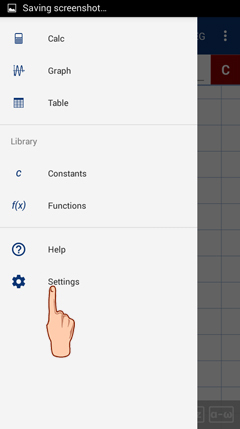 1) Tap the menu button (three horizontal lines) on the upper right corner of the screen to see the different options of the app. 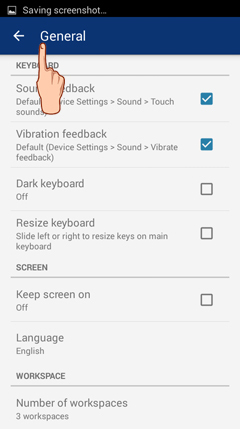 3) Tap GENERAL to view the general settings' list. 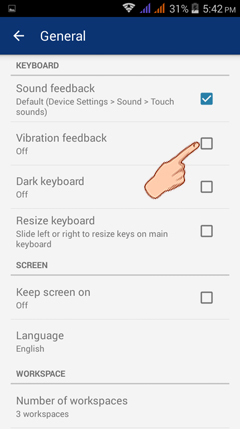 4) One of the options in the list is "VIBRATION FEEDBACK". 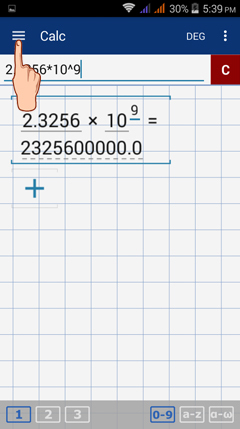 Send us your comments and feedback at calc@mathlab.us.